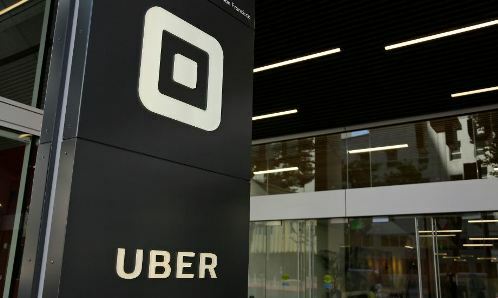 SAN FRANCISCO (CN) – In a key legal victory for ride-hail giant Uber, a Ninth Circuit panel on Tuesday found an arbitrator, not a judge, has authority to decide whether drivers’ beef over being classified as independent contractors should be arbitrated or resolved via class action. The three-judge panel unanimously ruled that a federal judge erroneously asserted jurisdiction when he denied Uber’s motion to compel arbitration in favor of a class action. Accordingly, the panel also tossed the judge’s certification of the class since the matter of whether the claims can be arbitrated must be decided first. Tuesday’s opinion, written by Senior U.S. Circuit Judge Richard Clifton, comes amid increasing concern over arbitration agreements that employees sign, sometimes mandatorily as a condition of employment, that forfeits their right to join class actions while promising to handle any disputes in arbitration. Consumer advocates decry the trend of arbitration agreements, saying arbitration is less transparent and can’t be appealed. But proponents say the process is more streamlined, just as fair, prevents frivolous lawsuits and helps companies save money by not having to defend a litany of suits aimed at shaking them down. The Uber case centered on whether employees are appropriately categorized as independent contractors or if Uber avoids categorizing drivers as employees to duck offering benefits like health insurance, overtime and retirement plans. At oral argument, the plaintiffs said the panel should not let Uber compel arbitration for several of its class members because the lead plaintiff opted out of arbitration – a decision that was good enough for the entire class. But the panel called the legal reasoning flawed. “Nothing gave the O’Connor lead plaintiffs the authority to take that action on behalf of and binding other drivers,” Clifton wrote in the 19-page opinion. The plaintiffs also argued the arbitration agreement violated labor laws, a point that led the panel to wait for the U.S. Supreme Court to decide a similar question in Epic Systems Corp. v. Lewis. The high court’s 2018 in Epic invalidated the plaintiffs’ argument in the Uber case. “The district court’s orders denying Uber’s motions to compel arbitration in O’Connor, Yucesoy, and Del Rio must be reversed,” Clifton wrote. Finally, because the case against Uber was brought by some who opted out of arbitration and some who did not, the panel held class certification must be revisited. “The class as certified includes drivers who entered into agreements to arbitrate their claims and to waive their right to participate in a class action with regard to those claims,” Clifton noted, adding it’s up to the arbitrator – not the federal judge – to decide whether the agreements are enforceable. The panel remanded the case to the lower court for further proceedings.